During their first year of existence, Amalgam operated under an alternating proprietorship agreement in the same address where another brewery held its own production license. Joyce and Schmidt, who started Amalgam as a separate spin-off project, had been leasing a 90 square-feet of space and sharing production time with their former full-time employer, Niwot’s Powder Keg Brewing, where Joyce brewed full time, and Schmidt worked part-time as a beer buyer, salesman and designer. For bottle releases, Amalgam again bucked the norm by leaning on craft-centric retail bottleshops to hold specialty release events and tastings. While Powder Keg and Amalgam were both so closely intertwined, the two have diverged down different paths. Powder Keg Brewing, who struggled to find the foot traffic to stay afloat in the small town of Niwot, closed up shop two weeks ago, leaving its most fervent fans wondering what would be next for its budding star brewer. We now have an answer as Joyce and Schmidt have begun production at Amalgam’s new permanent home, located at 6381 Beach Street #A just north of Denver, in the Midtown neighborhood of Adams County. Despite the exciting new opportunity, Joyce and Schmidt still insist that they wished a different fate for their former employer. Tucked away just off West 64th in a shared 5000-square-foot industrial warehouse, Amalgam’s modest production facility, dubbed “The Cultural Center”, has begun taking shape without having to concede its signature unconventional approach. 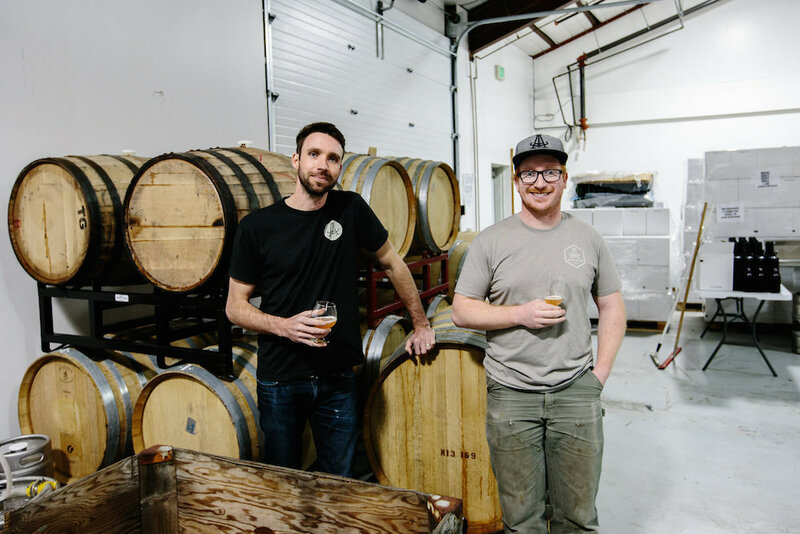 Still operating without their own brew system, Amalgam utilizes other breweries, such as Idaho Springs’ Westbound & Down, to help contact brew their base wort, before it’s transported back in wine totes to be fermented in their oak barrels. In their new location, Joyce and Schmidt will continue to embrace their shared space concept, sharing a space with Westbound & Down. 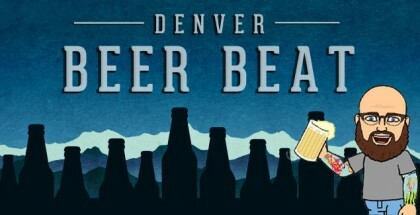 The mountain brewery connection has recently extended even farther, as Westbound also recently decided to tap Joyce to split time and independently serve as their Special Projects Manager. 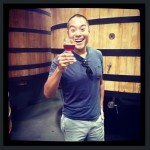 “Eric and I don’t want to grow significantly all at once. 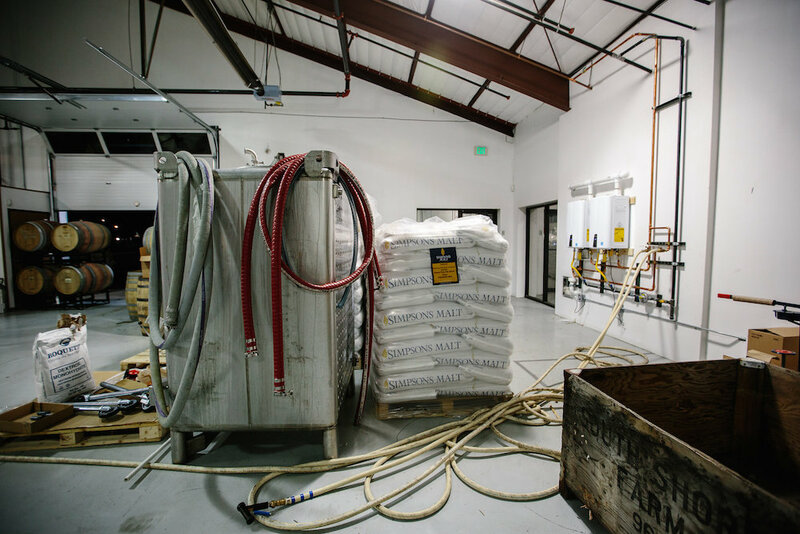 We knew we couldn’t rely on Amalgam as our sole source of income and this model allows us more freedom to produce more variety of beers and stay creative without as much of the financial risks,” explained Joyce. But growth can be a real positive, especially for Amalgam fans, as Joyce and Schmidt have revealed that they plan to open a tasting room this summer for special release events. 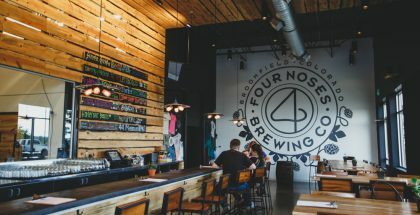 The tasting room will serve to help extend Amalgam’s mission of using the beer as a vessel for connection and community and will include an outdoor patio where visitors can come enjoy beers during bottle release events. This organic growth model will also allow Joyce the flexibility to focus on quality and continue to let local ingredients to inspire their blends. Amalgam has already debuted their “Handpicked Series” that focuses on utilizing locally hand foraged fruits and ingredients. One of those releases utilized peaches that were picked from Schmidt’s father’s peach tree in the backyard of their family house. 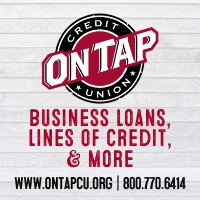 The size of their operation will also help to keep their operation lean enough to be able to pivot and create beers based on their personal tastes and interests. 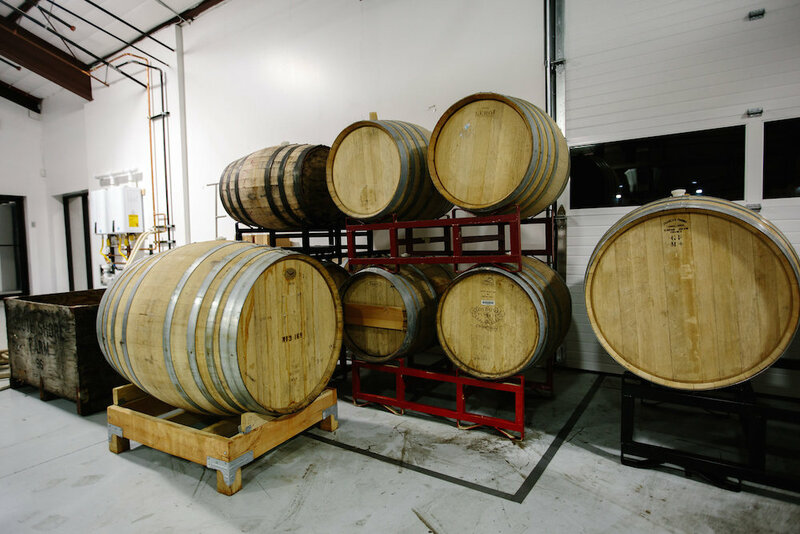 Joyce has already teased that they have a clean stout aging in bourbon barrels and that they wouldn’t eliminate any possibilities stylistically, but that for now, they’re still focused on oak-aged fermentation. 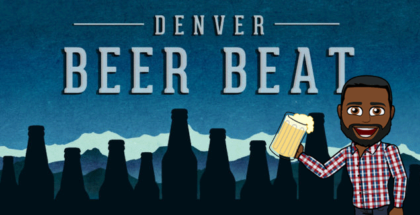 Amalgam’s next big release will take place at Cellar West Artisan Ales as a collaboration with the Boulder-based brewery/blendery. 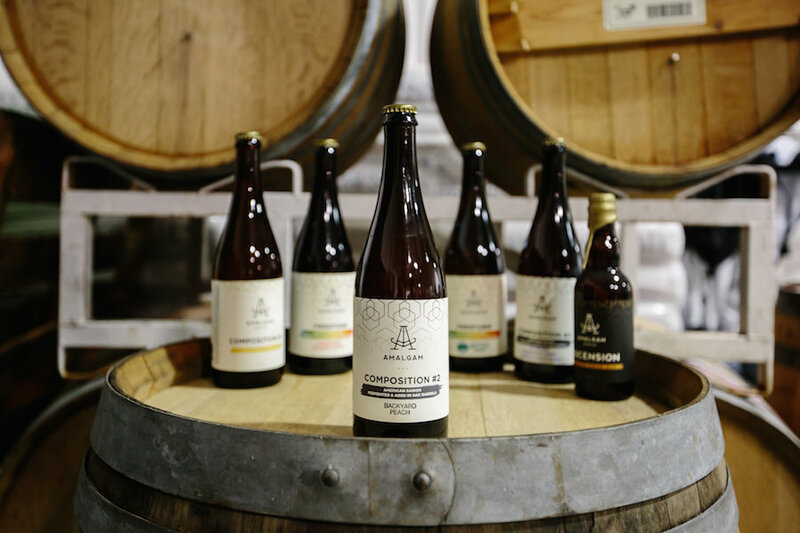 The Cellar West / Amalgam Assimilation release will be composed 75% of Westfield, Cellar West’s oak aged Saison, then 20% Freeform, a solera-style Golden Sour from Amalgam, as well as 5% of Amalgam’s Apricot Sour. 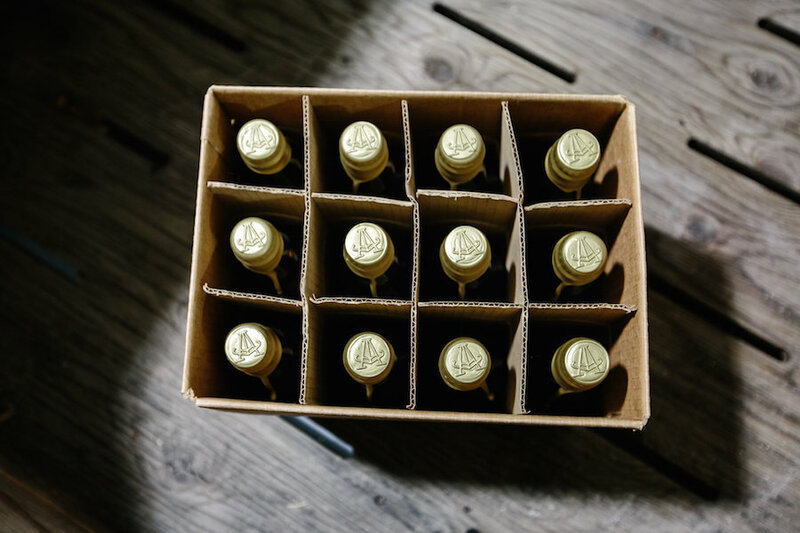 While no official date has been set for Amalgam’s first on-site bottle release at their new Cultural Center location, Joyce and Schmidt seem content to have found the freedom to operate their passion project on their own terms, in their signature style, at their own pace.